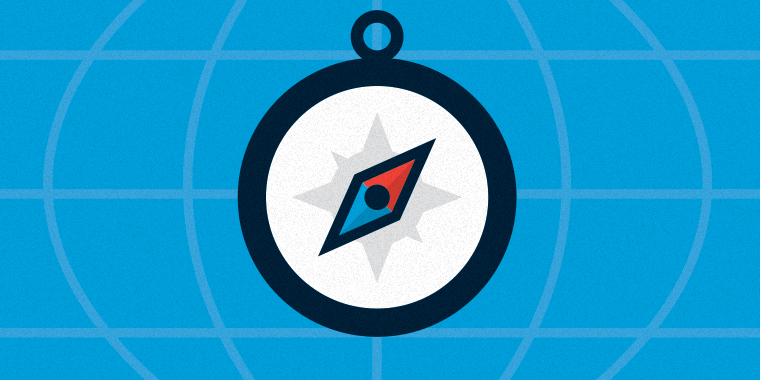 What’s your experience with navigation instructions in e-learning courses? Feel free to share your point of view below or in the original discussion. That is certainly one school of thought! However, in some cases I've heard of people struggling with even the simplest of navigations if they are not very tech-savvy. I agree with Allison. I have the basic navigation in SL2. Plus I use the Menu and Notes tabs for additional information yet need to provide instructions each time for the user base. They range from Millennials to Baby Boomers. I usually add a tab in the player template called "Course Navigation" or something like that. When the user clicks on it, a lightbox comes up with instructions that point to the different elements of the interface (seekbar, volume, etc.) and with a brief tip on how to use them. I specifically mention the course navigation tab on one of the first pages (I usually start with a title page, so this generally goes on the second page) and then it's there for the user whenever they need it. I'm sure some of our users, who are primarily millennials, don't need the instruction and bypass it completely, but some users might find value in it so it's there if they need it. I put the navigation instructions in a lightbox as well. In one course, I put navigation instructions button on the first page, this way the participant can choose whether or not they need to see the navigation. It's important to take ADA into account, too. If you have users with cognitive difficulties (including very smart people recovering from a stroke or head trauma) then it may be important to include instructions in every module of the course. Excellent point Sharon! Thanks for chiming in. I find the answer depends upon the audience and the context (like many other ID situations). I write a series of courses that are taken throughout a long term curriculum. The first course has the instructions as part of the course. Subsequent courses don't force the learners to view those slides but I include them as an optional link available in the player. That is an excellent point, Corey! If you are dealing with a course series, it definitely makes sense to include instructions in the first course in that series and then in an optional tab in the rest of the courses. I always struggled with this issue as well. Starting out there was a slide within the course with audio that talked about navigating the course. Later, I removed it and now include a short video that is available under the Attachments Tab at the bottom of the list of course attachments. The introduction slide mentions the availability of a tutorial as an optional resource for new users. Sounds like a perfect compromise! In my experience, I do think it is necessary. It does not always depend on the difficulty of the navigation. People have different types of learning. It is like bying a new mediaplayer, some people just jump right into it, other people really need to read that manual first, even if they allready know that play button :-) I believe it is the same for navigation. I think it is a good idea to make these navigation instructions available. Instructions should be intuitive and thoughtful and blended into the content if possible. The best way to instruct is to make yourself progressively unnecessary. Your instructions should be active, simple, aesthetically pleasing, and intuitive. It sounds like I'm asking for a lot, but it really does make a difference and provides your users with a mental model of what is expected throughout the course. There is an art and science to it. If I have to spend more than a couple of minutes trying to figure out what to do then I am already defeated and you have taken me out of the "flow" and away from the content. Being frustrated, is not how I want to start any online course. Nicely said, Ryan. We definitely don't want our learners to be frustrated before the course even begins! I use navigation base on the course I design. If it is the same basic temple I use for work then I do not add any navigation instruction. When I create a not normal course for work I add a navigation page before the course starts so the users know what button they are clicking to move along. Also at the end of the time line the but I want the user to click on will have a highlight color around the button letting the user to click on that button. I say it depends on the course you design. If it is the same basic course set up you design every month I do not add a navigation page. If there are no interaction but rather a PowerPoint style course the user click on the screen until they hit the next button since that is the only trigger on the page. So use and don't use navigation base on the storyline project I am working. Thanks for sharing your methods Phillip! If your course navigation is very simple, or a challenge. Inserting a slide on "How to Navigate this course" helps you to 1. meet Section 508 compliance, and 2. inform the learners of alternate methods of navigation, i.e. keyboard navigation. In doing so, you have both catered to people with any handicap 9even the visually impaired) and the keyboard gang.